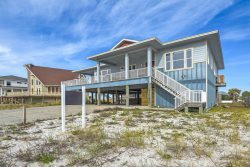 Welcome to Gulf Coast Getaways Vacation Rentals! 1. Where do I CHECK-IN? ***PORTOFINO Reservations: Upon arrival please go the front desk located before the entrance gate on the left (west) side. You will receive the condo keys and arm bands at 3:00 PM(CT). The front desk is open 24 hours. Please make sure you have your ID handy. 2. What time is CHECK-IN? CHECK-IN time is 3:00 PM (CT) for condos and 4:00 PM (CT) for houses/townhouses. 3. What time is CHECK-OUT? CHECK-OUT time is at 10:00 am (CT). If you are planning to depart at an earlier time, please text the concierge. 4. How do I find the emails about my vacation? We make it easy. Look for email messages from [email protected] titled VACATION. Please ignore VRBO, Homeaway and Airbnb emails. We use them for advertising purposes only. Communicate directly with us. We recommend the following: beach towels, toilet paper, paper towel, trash bags, salt & pepper, coffee filters, laundry detergent, dishwasher detergent, Lysol disinfecting wipes, shampoo, body lotion, sunblock and hair dryer. 6. Who can answer my questions? We have a dedicated TEXT CONCIERGE SERVICE available to answer any questions before, during and after your stay at the beach. TEXT 850-426-4722 for any assistance needed Monday thru Saturday from 10:00 am to 4:00 pm (CT). For maintenance emergencies occurring after hours please CALL 850-530-6787 and leave a message. 7. What is provided with my rental? We provide STARTER SUPPLIES of trash can liners, paper towel, toilet paper, bath soap, and dish soap. These starter supplies will get you through a day or two. Each full bathroom will have bath towels, wash cloths, hand towels and a bath mat. There will be kitchen towels as well. Each bedroom will have fresh sheets and quilts. If you need additional sheets or towels, please bring them or wash them at property. Every one of our vacation homes have a washer and dryer. 8. Where can I stop for supplies/ groceries? Pensacola Beach: There is a Neighborhood Walmart and a Publix located in Gulf Breeze, right before the beach bridge. There is also a CVS open 24 Hrs. Navarre Beach: There is a Winn Dixie located right before the beach bridge and a Publix. 9. Can I get an early CHECK -IN? Early check ins are not available during summer and spring break since most of the vacations homes have guest departing the same day you arrive. However, please ask the text concierge a couples of days before your arrival, just in case anything changes. 10. What should I do before CHECK-OUT? 11. Can I CHECK- IN after 3:00/4:00 PM? Yes, your entry code is good thru the length of your stay. *** PORTOFINO reservations: Front desk is open 24 hrs. 12. What kitchen items are provided? All of our properties are fully equipped with cooking and baking items, regular & wine glasses, dinnerware, silverware, kitchen utensils, coffee maker, blender and mixer. Some properties have Keurig and Crock Pot. If you need additional items for your stay, we will be happy to provide them. 13. I am not sure of the property address, how can I find it? One week prior to your arrival, a driving directions message will be send to you via email . You can always text the concierge for detail information if needed. 14. Can I cancel/change my reservation last minute if an emergency occurs? You will be able ONLY if you have purchased travel insurance. Travel insurance can't not be purchased after a Storm or Hurricane has been named. Click on the link to see details of coverage at CSA Travel Insurance.